Buying a house has been in our “next few years” plan for awhile. Originally we thought spring of 2010 would be a good time, but then these tax incentives came up and we found ourselves looking at the end of this past summer. These grown-up decisions aren’t easy- every part of this process has involved difficult choices. I’ve spent years daydreaming about owning a home, but reality is different than those daydreams. We had to figure out what we could realistically afford (and come to terms with the fact that ‘first house’ and ‘dream house’ are two different things), and where this house would be. We had to think about what was important to us, and the types of visions we had for our life together. For years and years, our long-term plan has been to buy a home in Albany. This was the plan for a lot of reasons: our families are there, it’s affordable, we like it, we feel a loyalty to it, we see exciting things happening there. This summer, we thought and reflected, weighed the options, and decided these things are still important to us. It would be difficult to leave our life in MA, but it was time. This place and these people will be in our hearts and our lives for a long time, I know. Our friendships are strong and will endure the distance, and we’ll be back to visit often. But home is Upstate New York. Over the summer, I was speaking to a friend who is expecting a baby in January. Her immediate family is spread out among four states (mom in South Carolina, brother in New York, dad and sister at different ends of Vermont, herself in New Jersey). She was lamenting the fact that she would have no family support system around her when the baby arrived. She had her husband, and there would be visitors, but all she wanted was to be in a spot surrounded by her immediate family. Her story made me realize how lucky we are to have most of our f amily in one area. Our families are both tight-knit and great– family birthday parties are regular events, cousins grow up close to one another, the support network is strong. We’re not ready to have kids just yet, but when we are I want them to grow up in the middle of that kind of family. I want them to know our parents well, to see extended family more than a few times a year. That’s important to both Patrick and I. 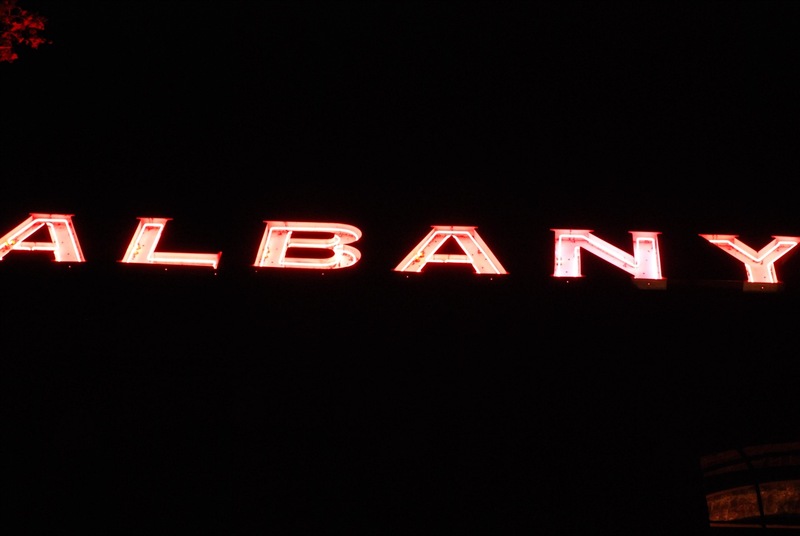 And then there’s Albany itself. This city that I love, with so much potential, that needs people like us there. We have energy to give it, we see the good that is there and the good that can be there. 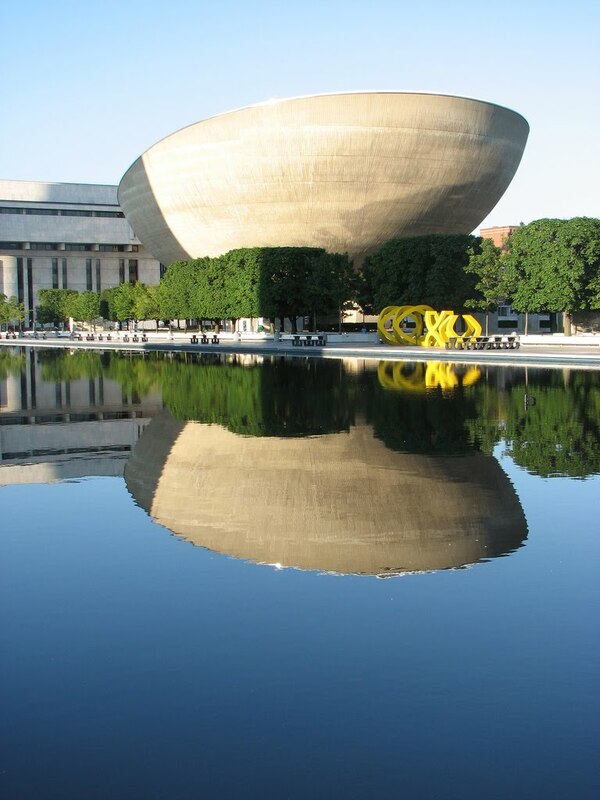 We want to be a part of the community that is working to make Albany a great place to live. We’ve learned a lot from our time in the Pioneer Valley about strong communities and what makes an area vibrant. People in the Valley are proud to live here– we want to bring that to Albany. And so, if all goes well, we’ll be Albany homeowners as of tomorrow. The next few weeks will be full of transition and sad goodbyes, but we’re ready to return to our All-America City. love why you picked Albany. I so agree with your friends having the family around when you have kids is so important. For the first 3 1/2 years of Maci's life it was just Chris and I. My folks would come out to visit as much as they could. It just isn't the same. Now being around family again and watching the kids with them is so great and special. Nothing can make up for the time and traditions made with family.